Welcome back to the War Zone my fellow Kill Team Leaders! 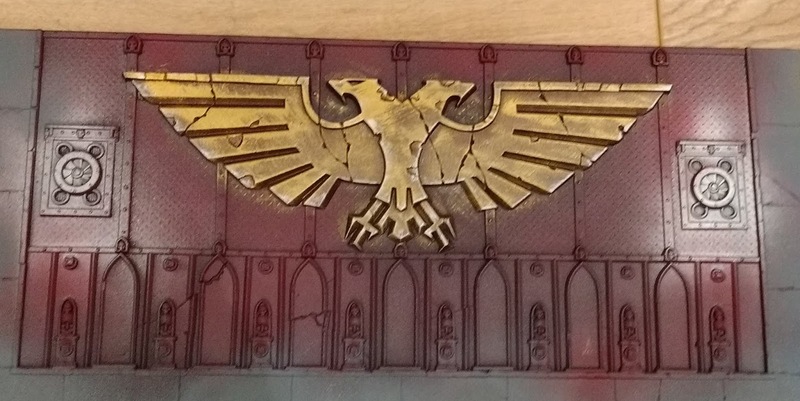 This week's hobby time has been spent dabbling with Kill Team; as you can probably tell I'm really enjoying this new game! 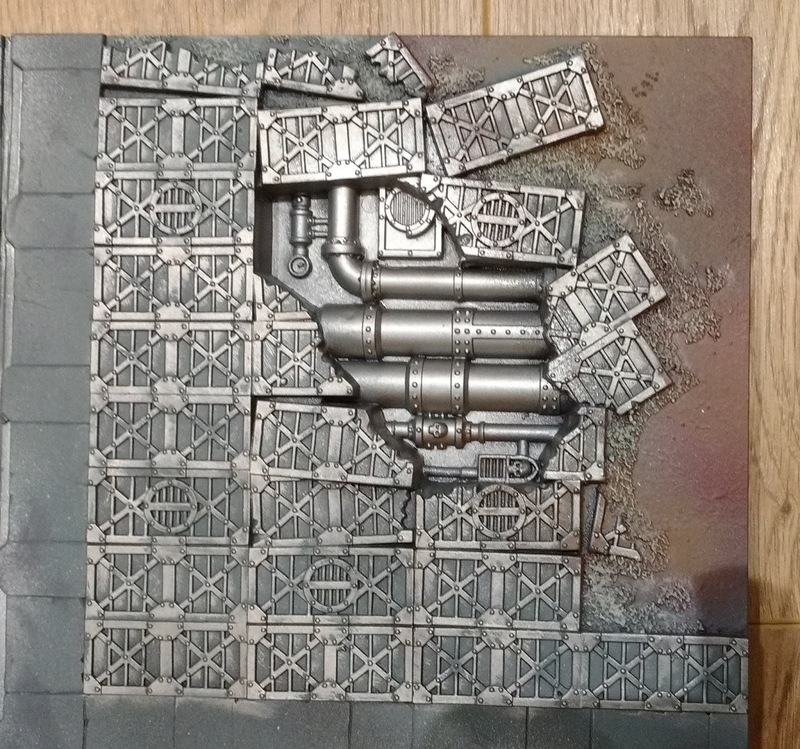 I showed off a lot of terrain I'd been painting in the previous article, and I've been working on a gaming piece to use with it all. 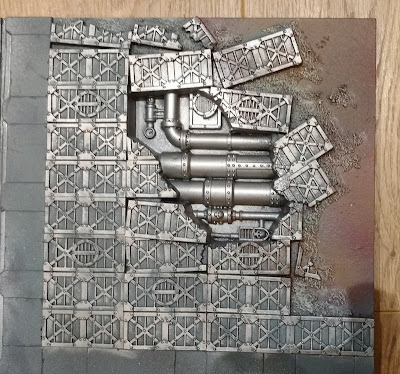 The more astute readers will no doubt recognise this as a "Sector Imperialis" Realm of Battle tile; I picked this individual 2' by 2' tile up a couple of months ago from the local store as they were being sold for "Armies on Parade". I've applied all the base colours using rattle cans. 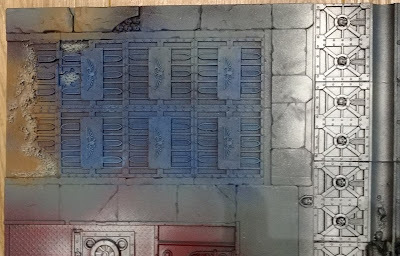 It's not a particularly neat technique but I like the ways the colours bleed into each other. 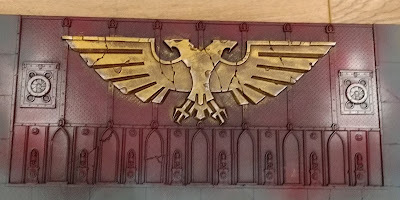 I've moved onto some brush work; applying some dry brushing and so on. There is still amount to do on the board (more details to pick out and washes to apply), but it should look pretty cool when it's done. 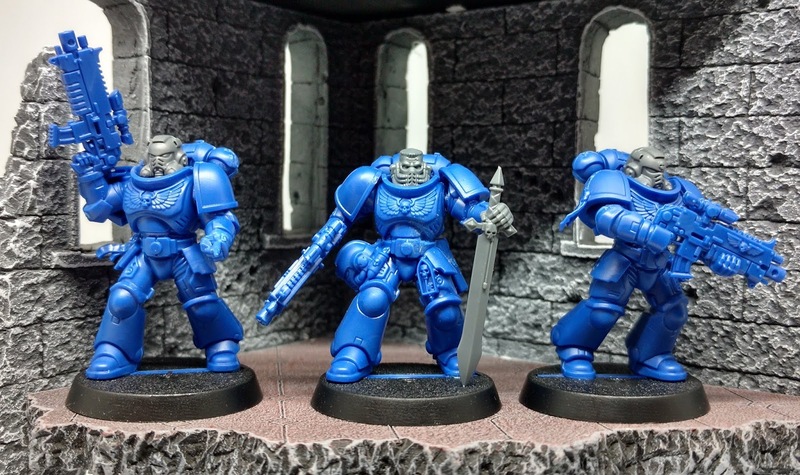 One of the big attractions of Kill Team to a hobby butterfly like myself is that you can build a whole new force with just a few models. 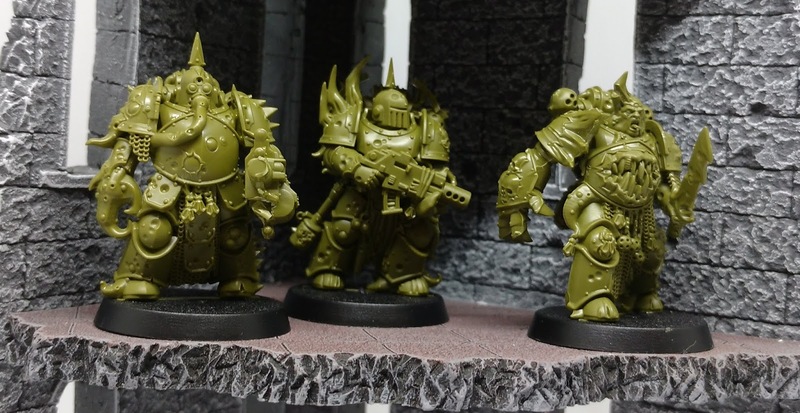 I've fancied having a go at a Death Guard Kill Team since I played against one at the recent store tournament. 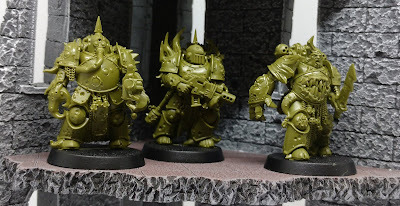 The Plague Marines kit (the Death Guard staple) seem to be out of stock at the moment which is really disappointing, but there is an alternative; the easy to build push fit kits! I'd like to get hold of a Plague Marine kit at some point to build some proper fighters with Flails and Cleavers! 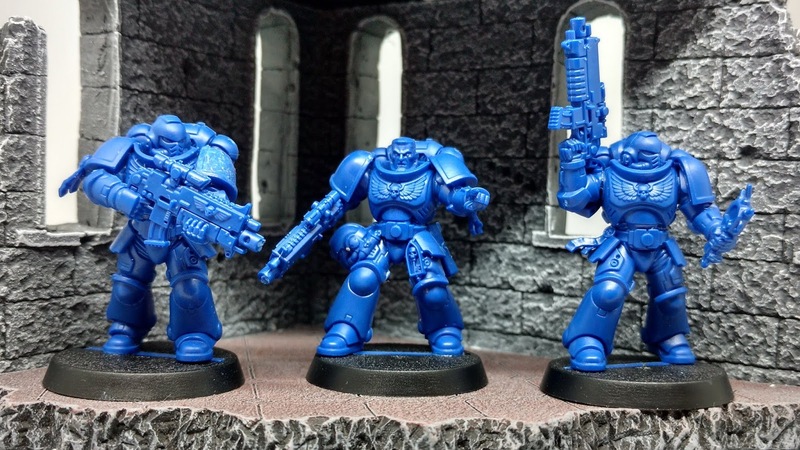 First Strike also comes with three push fit Primaris Intercessors and three push fit Primaris Reivers. I've build these chaps as well (also the pictures include the half a dozen Intercessors I also picked up from the ridiculously cheap Conquest Magazine Issue 1). 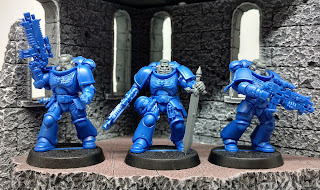 I think the Intercessors with the Aggressor heads are my favourite mods, particularly Power Sword guy. 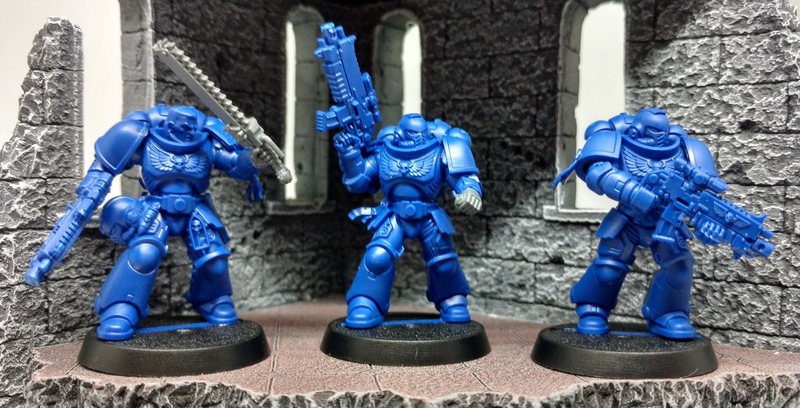 I've got plenty of Tactical Marines and Scouts so I can muck about with Space Marine lists to my hearts content. 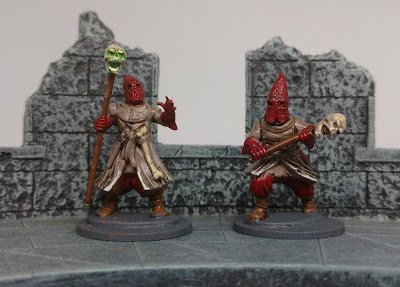 So two new Kill Teams to try out from a couple of cheap starter boxes! 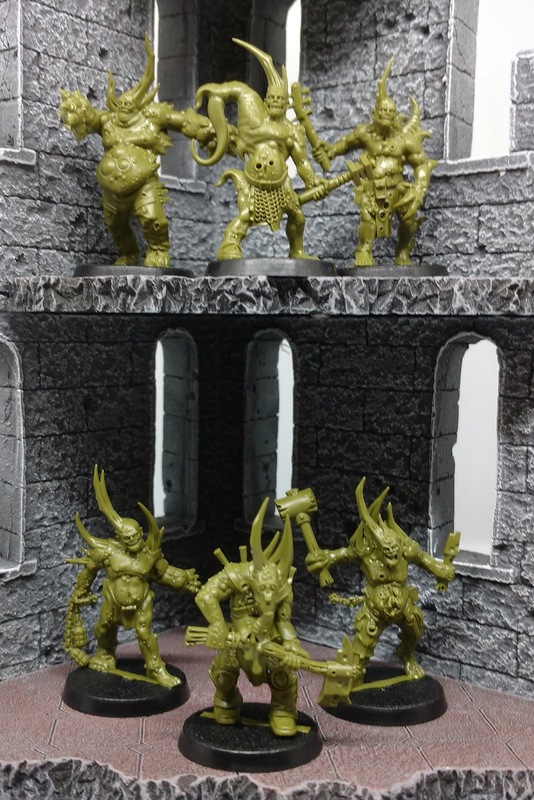 Whilst neither are particularly optimised they form a good basis to experiment with and I'm looking forward to getting these on the table. 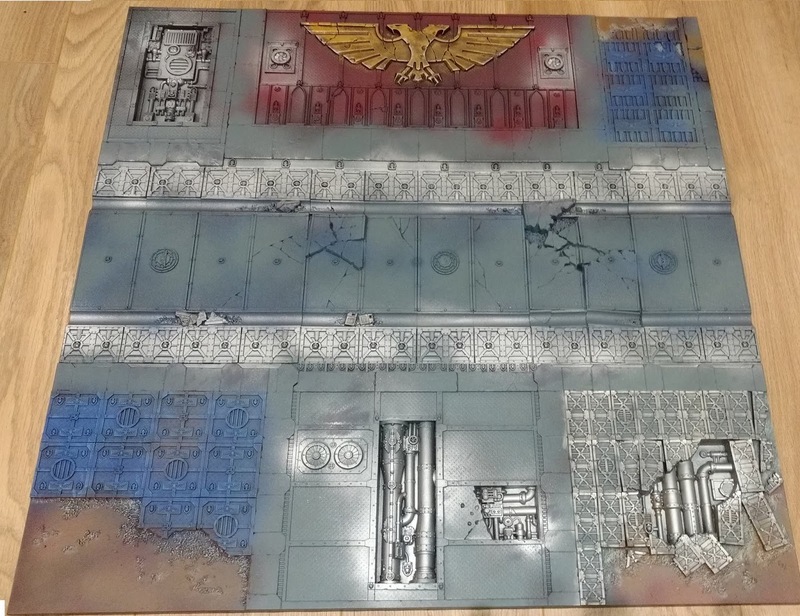 As always thanks for reading; I hope you've enjoyed the article and I'll report back on how these new forces do in another article.